The Finance Minister got back from the US on Saturday only. 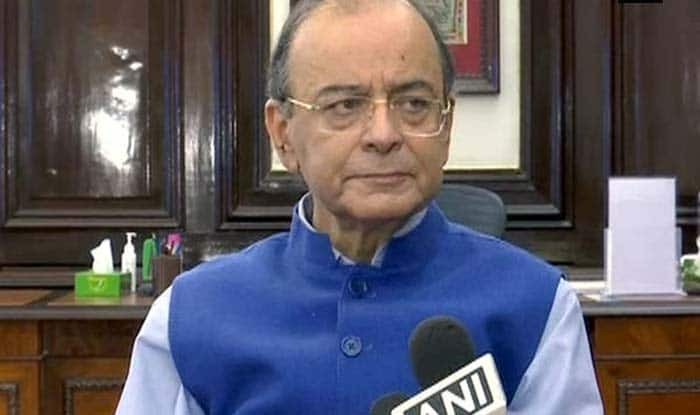 New Delhi: Back from the US where he had gone for his medical treatment and Finance Minister Arun Jaitley launched an attack on the Congress, accusing it of launching ‘fake campaigns’ against the defence forces, judiciary and Reserve Bank of India. In a Facebook blog post, Jaitley said it was time to protect the country as well as its institutions from ‘institution wreckers’. This post seems to be a response to the Congress’ allegation that the BJP-led NDA was controlling institutions. Titled ‘Institutions Under Attack – The Latest Fabrication’, the post begins with how in the past two months, several “fake campaigns” were launched but they ‘failed to cut much ice’ as falsehood does not have longevity. Jaitley said the Congress organised loot on the banks and was now alleging that industrial loans had been waived. “Not a single rupee was waived. On the contrary, the defaulters have been thrown out of management & Congress’s falsehood was exposed,” he wrote. On the recent row over CBI probe into Saradha scam, he reiterated that the Centre had not interfered in any investigative function of any investigative agency. He also targeted the West Bengal government over not allowing UP CM Adityanath’s chopper to land and obstructing BJP’s rath yatras in the state. “BJP leaders can’t land, public meetings are being prevented and the rath yatra was disallowed. The Congress Party’s stand on multiple issues is self-contradictory. It slaughters a cow before the cameras in Kerala, and invokes the National Security Act against the cow killers in Madhya Pradesh,” he said. “The Congress aligned with the Maoist in the recent Chhattisgarh elections. Rahul Gandhi stood shoulder to shoulder with the ‘Tukde Tukde’ gang at the Jawaharlal Nehru University. The Congress was in the forefront of defending the urban naxals in court. And yet it claims to be a friend of both, the idea of India and its institutions,” Jaitley said.